Part I in September 2013 looked at enrollment from 2002-2012. 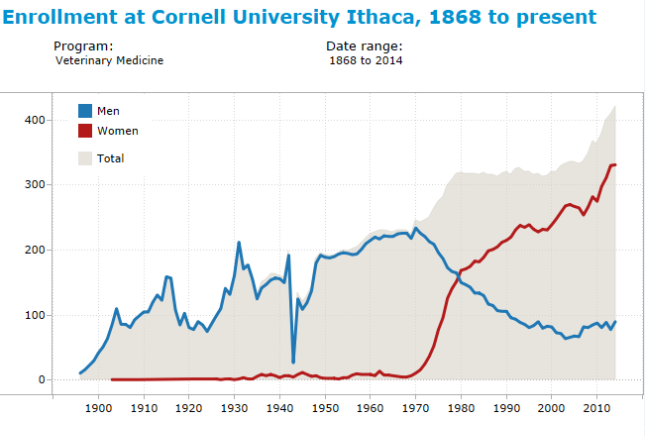 This time, it’s a look over the whole 150 year history of Cornell. The information and plots included here come courtesy of the Institutional Research and Planning unit at Cornell University, the same unit that maintains the Cornell University Factbook. As of Fall 2014, Cornell University enrolled 21,850 students at its Ithaca campus, the latest statistic on the rapid increase in student population since 2005, when the total student population was 19,447. 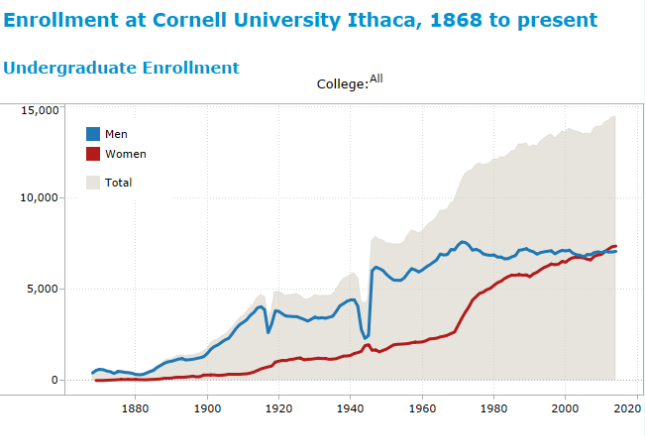 Many of the ups and downs in the 150 years or Cornell are easy enough to qualify – drops in male enrollment as students went off to fight in World War I and World War II, the Post-WWII GI Bill bringing an enormous increase in enrollment. Then there’s a leveling off in enrollment during the 1970s due to financial constraints, and the rapid rise of women in college starting in the late 1960s, as more and more women sought out education and careers. Early on, a decline can be seen in enrollment, from 561 in 1876-77 to a low of 384 students in 1881-82. According to Morris Bishop in A History of Cornell, “Various reasons were given for the dwindling enrollment: hard times, increased tuition, stiffened entrance exams, coeducation, Cornell’s reputation for religion. Probably each of these reasons was valid in certain cases (p. 201).” The absence of university president A. D. White while he served as the U.S. Ambassador to Germany from 1879-1881 didn’t help matters. Thankfully for the university’s finances, enrollment rebound and morale increased after White returned. 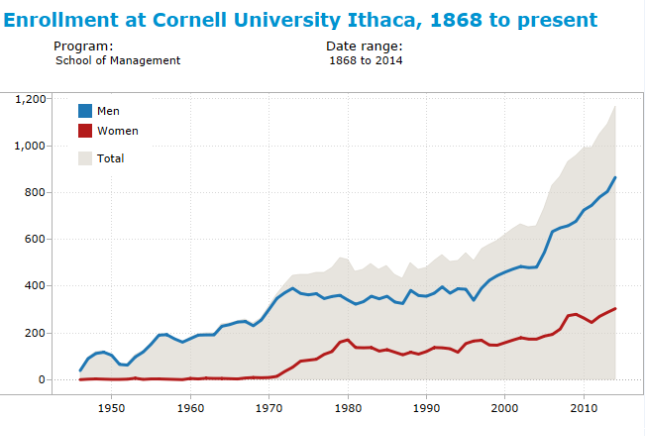 More notably, starting around fall 2011, the number of women enrolled as undergrads exceeded the number of men, the first time ever in Cornell’s history. This reflects national trends – women are now the majority of matriculated students in all self-identifying groups. Perhaps in part due to large increases in research spending in the 1950s and 1960s, grad students more than doubled in population in fifteen years, increasing from 1,528 in 1950 to 3,149 in 1965. The growth since 2000 isn’t as dramatic, but nearly as large in number – 3,918 in 2000 to 5,140 in 2014. The drop off in the 1990s can be attributed to “cuts in federal aid to higher education, especially R1 type institutions”, according to Ithaca College Economics professor Elia Kacapyr. Taking a quick look at the law school’s enrollment numbers, there was a tremendous spike in enrollment after World War II, thanks to the GI Bill – 460 students in 1950, more than doubling the 201 reported in 1939. 78 percent of law students in 1950 hailed from other institutions for their undergraduate degrees (Morris Bishop’s A History of Cornell, p. 575). During WWII, the law school accelerated its degree program by a year (Bishop 547), which might explain why the drop was more severe than in other programs. A mere 49 students were enrolled in the law school in Fall 1943. More recently, Cornell had a spike in law school enrollment, as part of a larger boom in law school education during the recession. The law school went from 583 students in 2008 to 689 in 2009, a remarkable amount of growth for one year. Law school looked like a ticket to a six-figure job during the recession, but after a couple of years of horror stories of law students unable to find high-paying jobs to match their high debts, applications have decreased nationwide and the enrollment numbers at Cornell have eased down just a little bit, to 668. The shrinkdown isn’t nearly as bad as some other schools, however. On the other hand, it now seems like MBAs are the go-to for that six-figure job, with a large boost in matriculants nationwide. Whether or not B-school grads have a law school-like meltdown has yet to be seen, but there’s no doubt that MBA student enrollment is growing by tremendous leaps and bounds Far Above Cayuga – the Johnson School of Management has grown from 655 students in 2004 to 1,168 in 2014. One thing that stands out is that from 1947 (when the business school began teaching students) to 1969, there had never been more than 4 women enrolled at any one time. Starting in 1980, women exceeded enrollment of men at the Vet School – today, the breakdown is about 75-25 in favor of women. I have had several vet school friends say that to be a single straight male in the Vet School makes one a very hot commodity. Cornell can expect to see increases in enrollment in the next few years, as part of its plan to enroll 120 in each class (480 total, up from the current 421) by 2017. The unplanned theme of the week: affordable housing projects. 1. This week and next, the Ithaca Urban Renewal Agency will be holding public hearings as part of the process to determine who will receive money from the Housing and Urban Development (HUD) grants awarded to the city. The 21 applicants ranges from jobs training to community services to the development of affordable housing. In total, $1.78 million has been requested, and there’s $1.215 million available, just a little over two-thirds of the total requested. Without discounting the value of the other applications, the focus here will be on the real estate development projects. For the record, writing about a project is neither an endorsement or opposition from this blog. 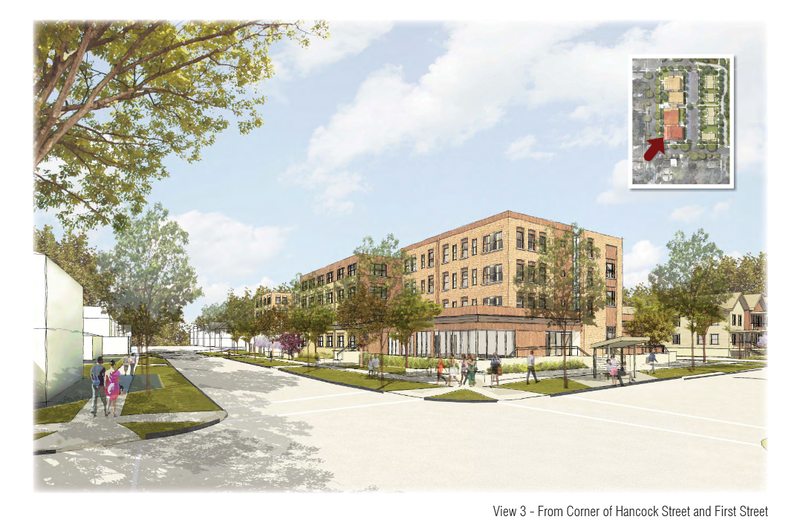 A. INHS is requesting $457,326 dollars for its 210 Hancock Street redevelopment project (also known as the Neighborhood Pride site). The total cost of the project as stated in the application is now up to $17.3 million. The application only applies to the apartment buildings, not the townhouses. The townhouses and apartments are going to be subdivided into separate parcels, because certain affordable housing funds are targeted towards renters and others towards homeowners. Subdividing the Neighborhood Pride parcel into the apartment and owner-occupied parcels will make for a smoother application process, and they’ll be separate projects within the larger framework of the 210 Hancock property. 210 Hancock will have 53 apartments – the 3 bedrooms have been eliminated and split into 1 and 2 bedroom units, so the number of units has gone up but the total number of bedrooms remains the same (64). The units are targeted towards renters making 48-80% of annual median income (AMI). The AMI given is $59,150 for a one-bedroom and $71,000 for a two-bedroom. The one-bedroom units will be rent for $700-1,000/month to those making $29,600-$41,600, and the two-bedroom units will rent for $835-$1300/month to individuals making $34,720-$53,720. Three of the units will be fully handicap adapted. One of the commercial spaces will be occupied by local social welfare non-profit Tompkins Community Action for use in an early head-start program for approximately 30 children from lower-income households. The other two spaces have strong interest but do not have tenants lined up yet. B. This second project is something new. Alpern & Milton LLC (local buisnessman Ishka Alpern and his brother, Franklin Milton) are requesting $250,000 towards a $1,285,000, 12-unit project proposed for Inlet Island called “The Flatiron”. The project seeks a renovation of 4,900 sq ft at 910 W. State/MLK Street (shown above) and a 3,700 sq ft addition onto the neighboring parcel at 912 W. State/MLK. The finished project will resemble the triangular form of the famous Flatiron Building in NYC. the application says “the project will be of a historic nature, but the structure being proposed is not currently, nor will it be, deemed ‘historic’ in terms of housing or building code”. Ten of the units will be available to 30-50% AMI, and the other two will be available to those making 50-80% AMI. The brothers do have some small projects to their credit, according to the filed paperwork. They handled the renovation of Brookton’s Market and 514-516 W. State/MLK Street. Judging from the google maps dating back to 2012, some renovations have already been done to 910 W. State. 2. In this week’s Journal, there was an article that gave a rundown of recipients of the Tompkins County Affordable Housing fund paid for by a combination of the city of Ithaca, Tompkins County and Cornell. Most of them I recognized – Holly Creek, the Habitat for Humanity duplexes in Groton and Trumansburg, Breckenridge Place and so on. There was one I didn’t recognize. 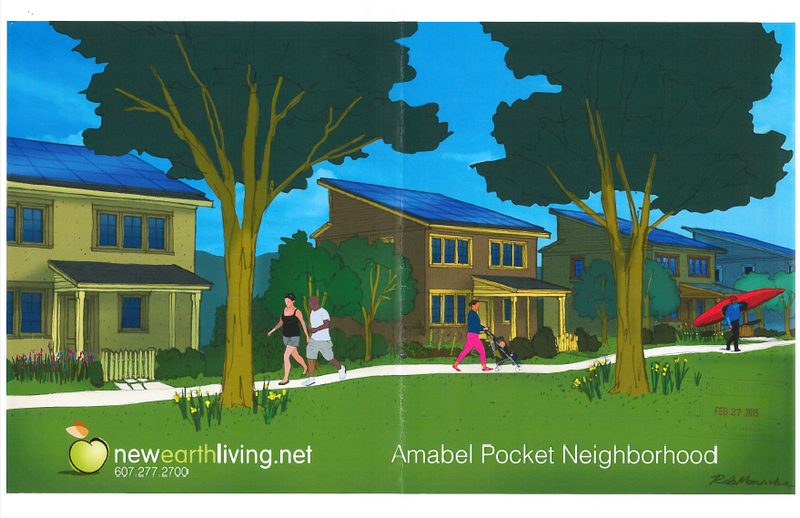 The Amici House proposal, which is being planned by Tompkins Community Action. I vaguely remember coming across this during the Stone Quarry debate last year, but at the time I couldn’t even verify if it was a real proposal. 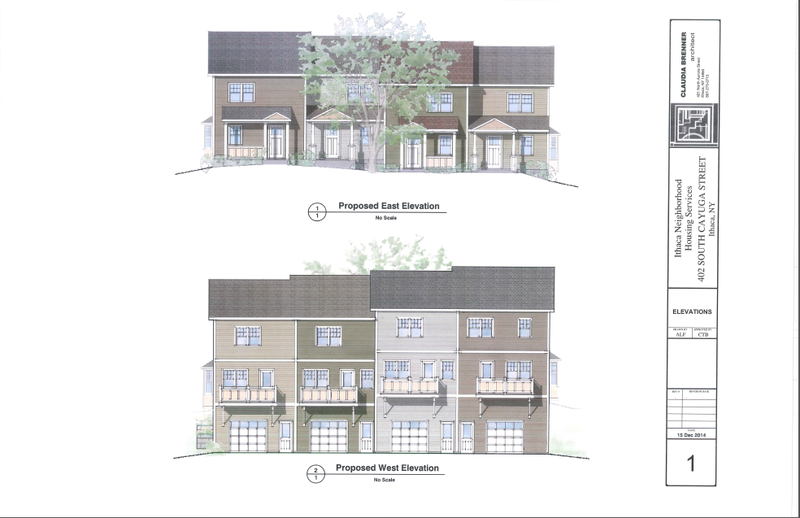 TCAction is proposing to build approximately 15 units affordable townhouses at 661-665 Spencer Road, just east of the Salvation Army store. There haven’t been any formal plans presented yet, but the project did receive $75,000 from the fund to pay for a pre-development feasibility study. 3. Like single-family home development? Have lots of extra money lying around? 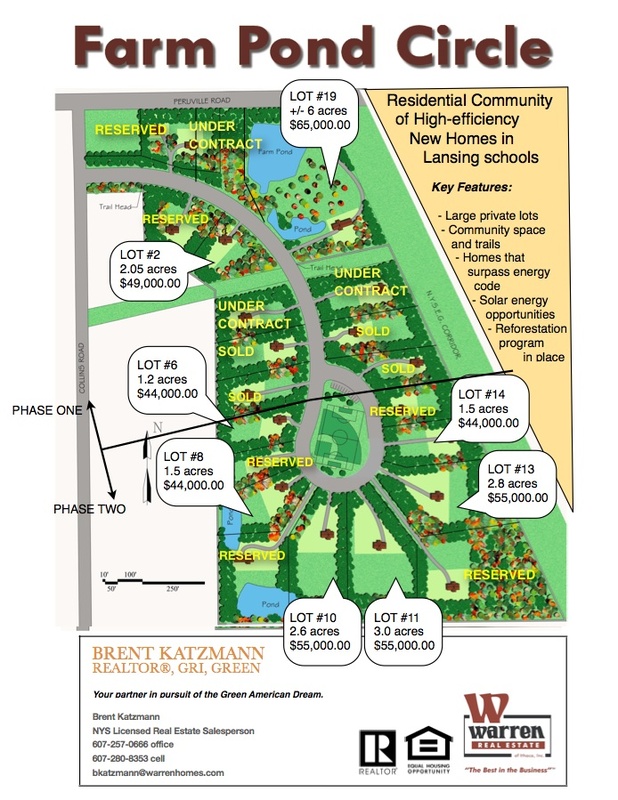 The second phase of Lansing’s 21-lot Farm Pond Circle development is up for sale. Jack Jensen, the original developer, passed away last fall. Of the ten lots in phase two, four have already been reserved; there are also two lots left in phase one. The second phase is being offered for $155,000. The Farm Pond Circle development is fairly stringent. Current deed restrictions limit the size of each housing unit to 2600 sq ft, vinyl or aluminum siding isn’t allowed, and only very specific subsections of the lots can be developed. Buyers aren’t limited to green energy, but there is a strong push in that direction. Also, at least four of the lots are earmarked for affordable housing (single-family or duplexes, buyers muse make less than 80% of median county income of $53k)). 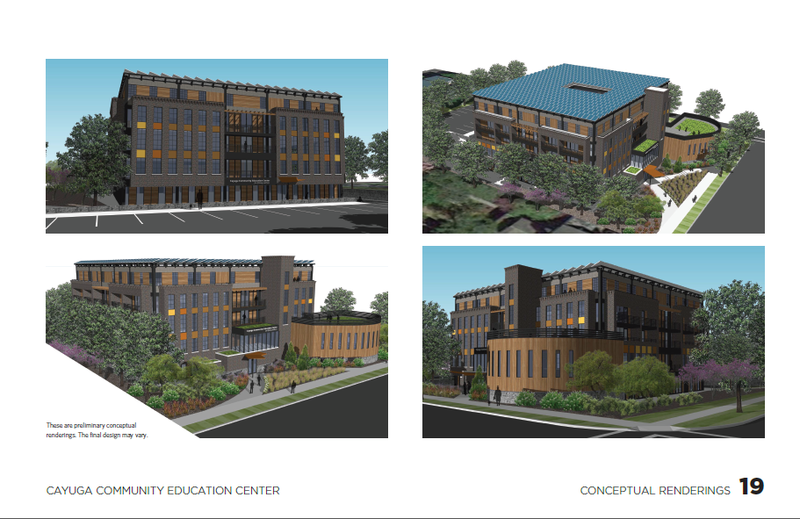 The affordable units, at least two of which have already been built, are being developed in partnership with Jack Jensen’s non-profit, Community Building Works!. 4. It’s back again. The county’s Old Library committee will be meeting next Friday the 3rd at 9 AM in the legislature chambers. The goal of this meeting will be to review the formal proposals received for the Old Library site, which is likely the same four remaining from the RFEI, but in theory it could one or a hundred. Whereas the RFEI submissions were general, the proposals get into the nitty-gritty – site plan, architectural details, funding, time frame, proponents, all of it. Expect revisions to the previous four designs as a result of commentary from the public and legislators. Since most folks can’t make Friday meetings, if anyone has general comments, conflicts or concerns about the proposals, I’ll just leave the committee’s contact info here: Legislature@tompkins-co.org. Use “Old Library” as the subject. 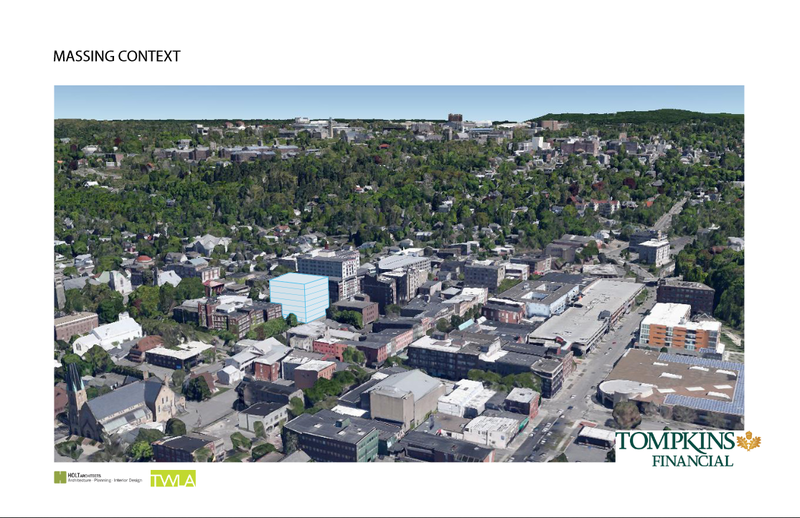 Downtown Ithaca will be getting another large addition in the next couple of years, if Tompkins Financial Corporation has their way. 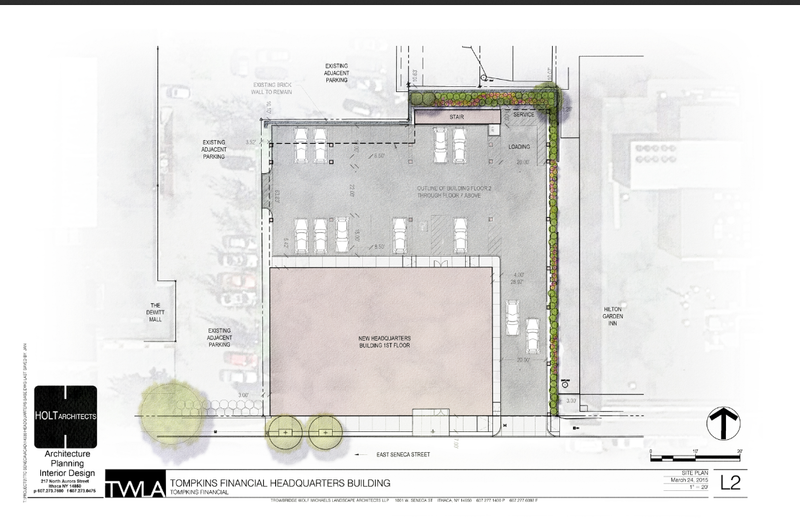 The local financial services company has announced plans for a new headquarters in downtown Ithaca. The location of the proposal, 118 East Seneca Street, is between the DeWitt Mall and Seneca Place on the Commons. The site is currently home to a small drive-thru branch of Tompkins Trust Bank. The sketch plan can be found here. 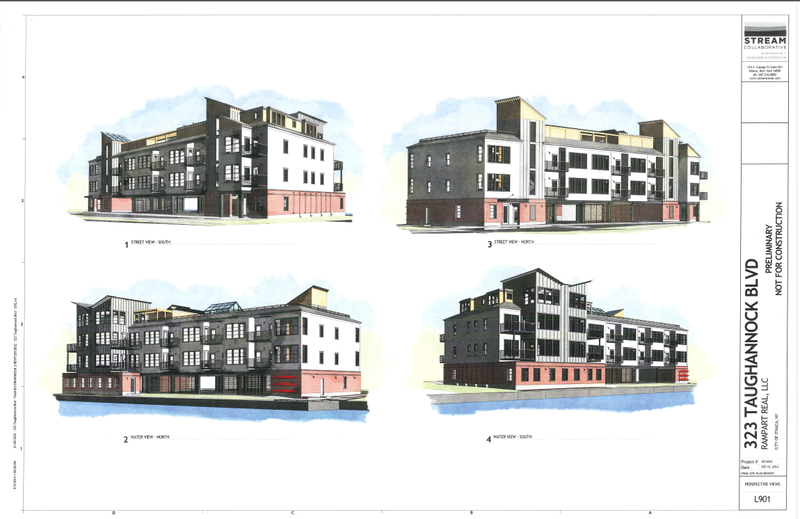 Currently, there is no specific design, only a massing diagram (local firms Trowbridge Wolf Lansdcape Architects and HOLT Architects will be designing the new building). Potentially, the project could be seven floors, 100 feet tall, and about 110,000 GSF. 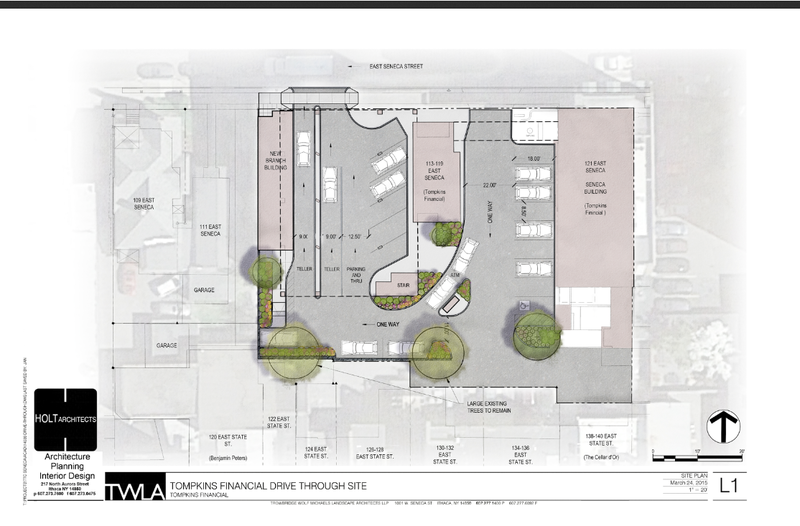 Plans call for a small amount of enclosed parking on the first floor behind the building footprint, with floors 2-7 being built out and over the parking. The bank branch would be moved across the street to 113-119 East Seneca, and though it’s a little hard to tell from the images provided, it looks like the buildings on site will remain in place, while major renovations are applied to the ground level. 113-119 East Seneca currently has a surface lot topped by three floors of offices. The project has a fairly quick schedule, with formal plans expected at next month’s Planning Board meeting, and final approvals for the headquarters expected by June. According to the blurb on the Ithaca Times, completion is anticipated by January 2017. Tracing its history back to 1836 and the establishment of Tompkins County Bank, the Ithaca-based company offers retail and corporate banking, insurance, and asset management services. Along with Tompkins Trust Bank, TFC operates several other subsidiary banks, including Tompkins Bank of Castile on Western New York, and Tompkins VIST Bank in Southeastern Pennsylvania. Collectively, the company holds about $5 billion in assets and employs 1,000, including 400 in its headquarters. On a final note, it’s worth noting that TFC turned down participation in the U.S. Treasury’s TARP program, otherwise known as the “bank bailout”, and was did not offer subprime loans during the 2000s housing bubble. 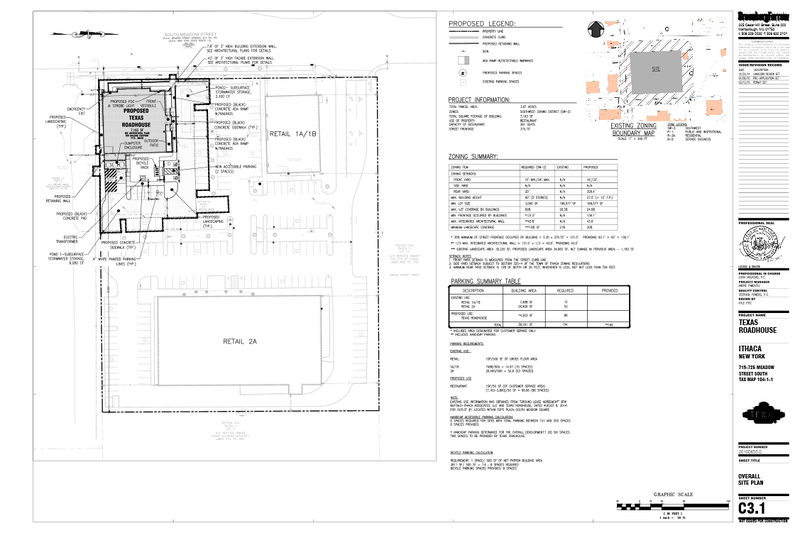 -The site location is 719 South Meadow Street, the northern end of big-box land. The site was previously home to a Cellular One and a 1980s one-story masonry building that was demolished in 2013, leaving the current vacant lot. -The construction time period is expected to be from September 2015 to Spring 2016. The project will begin the PDC review process in April. The construction cost is pegged at $1.35 million, including landscaping and parking improvements. 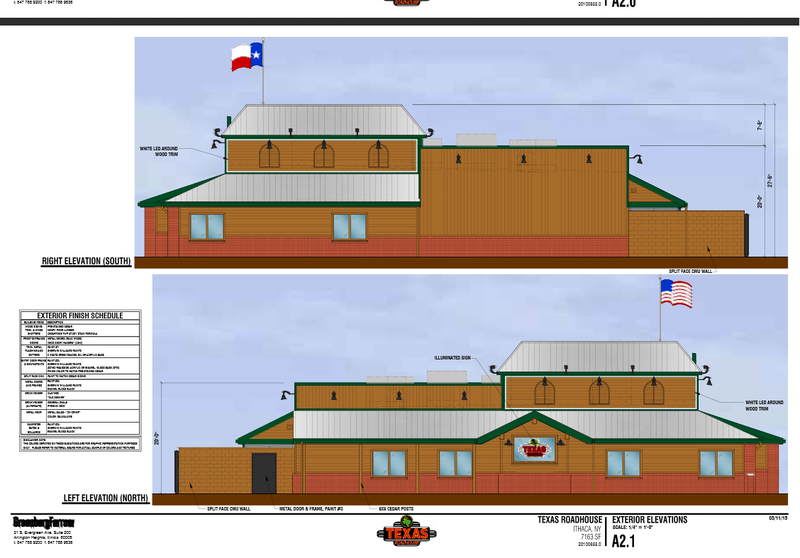 -About 30 construction jobs and 40 permanent (albeit food service) jobs will be created, according to the application. 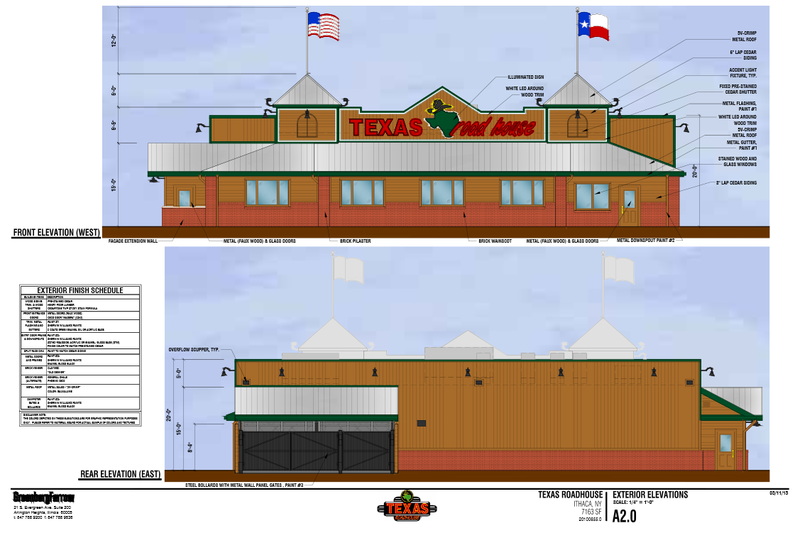 Jeff Stein at the Ithaca Voice says that an email from Texas Roadhouse corporate expects 170 permanent jobs, so I’m not sure which figure is correct. -The 7,163 sq ft store looks to be the standard corporate design theme for the 430-restuarant chain. One of the things that continues to amaze me is that, here on the blog, news like this is not a big attention-getter, it’s worth a blurb and not much more. On the Voice, where the audience is more general, people go nuts when they hear about new chain places moving into Ithaca. The lovers and the haters, and sometimes even attacking each other in the comments. In the first 24 hours after the Roadhouse article was published, it was shared 300 times on facebook, and had 2600 likes. Any other real estate or business article would be lucky to get 1/20th of those figures. I never cease to be surprised. 2. 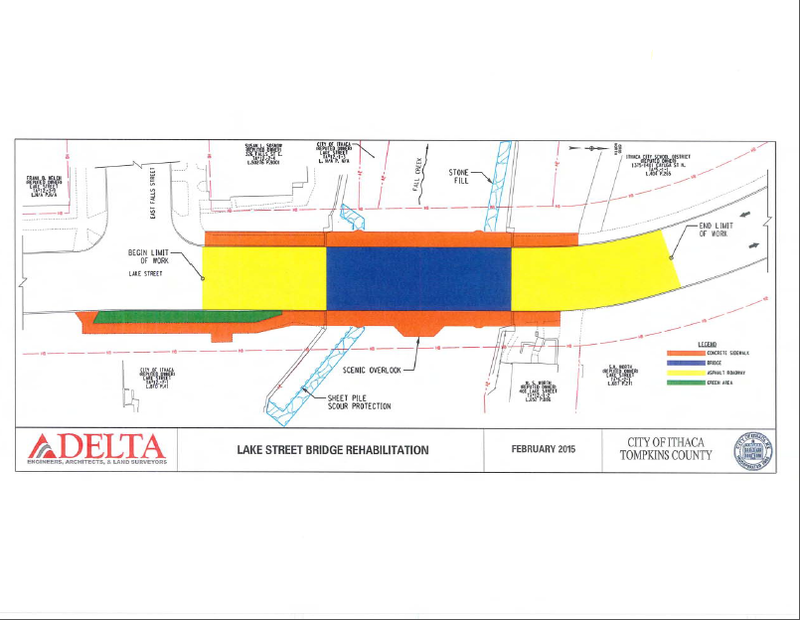 Looks like another town of Ithaca project is hitting the dustbin. 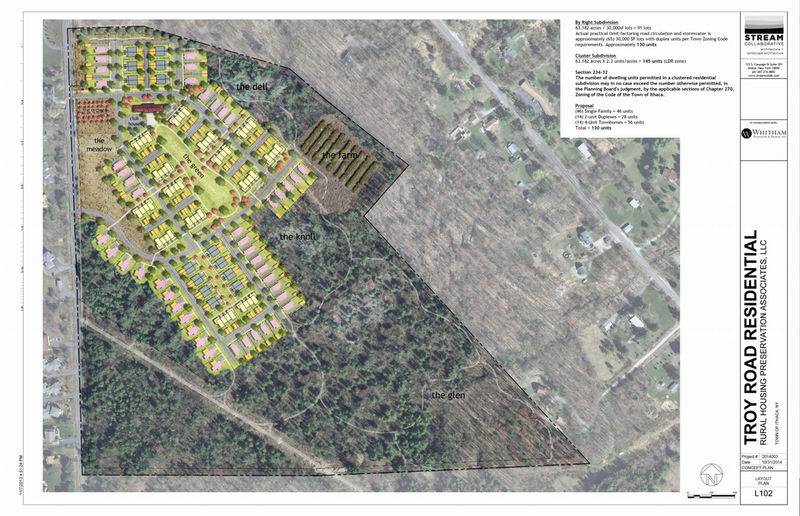 The 68 acres involved in Rural Housing Preservation Associates Troy Road project have been put up for sale. 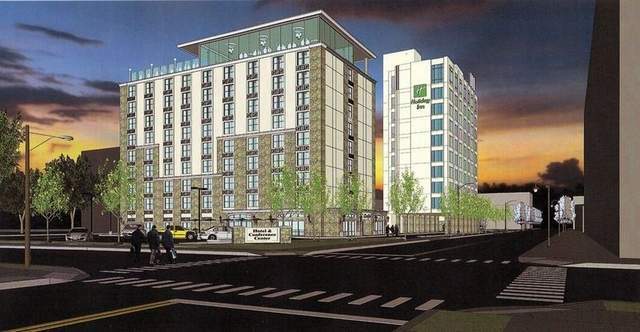 Originally proposed in February 2014 as a 216-unit project, the original design met with stiff resistance from neighbors and town officials. 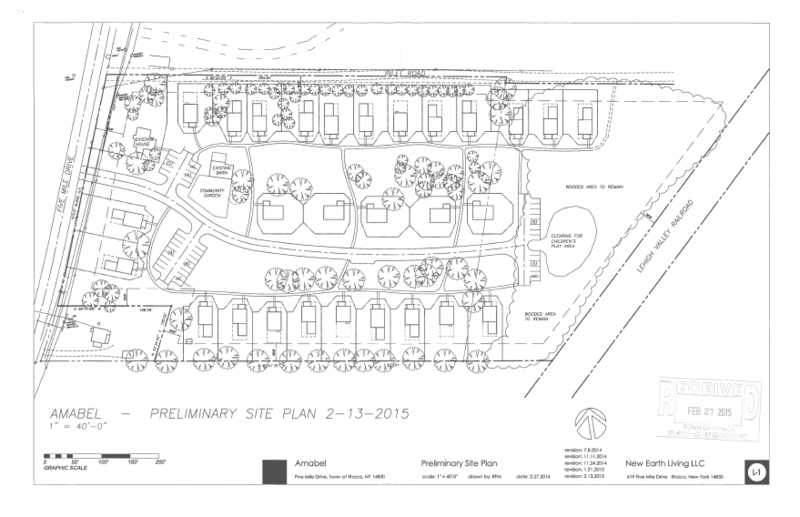 In November, a smaller, 130-unit plan (shown above) that included on-sire orchards and clustered housing was much better received, and the town planning board declared itself Lead Agency for site plan review, but the project never progressed further. In consideration of other dead mutil-family projects (such as NRP’s Cayuga Trails and Holochuck Homes’ 106-unit townhome development), the town is having a difficult time providing new housing, partly due to developer problems and partly due to local opposition and red tape. 3. The writers over at the Ithaca Times have an article up this week about the Kendal at Ithaca expansion currently underway. In order to stay on schedule, Kendal had to do their groundbreaking in January, with the intent of finishing in January 2016. Even with the appalling winter we’ve had this year, the director of Kendal claims the project is only three days behind schedule. 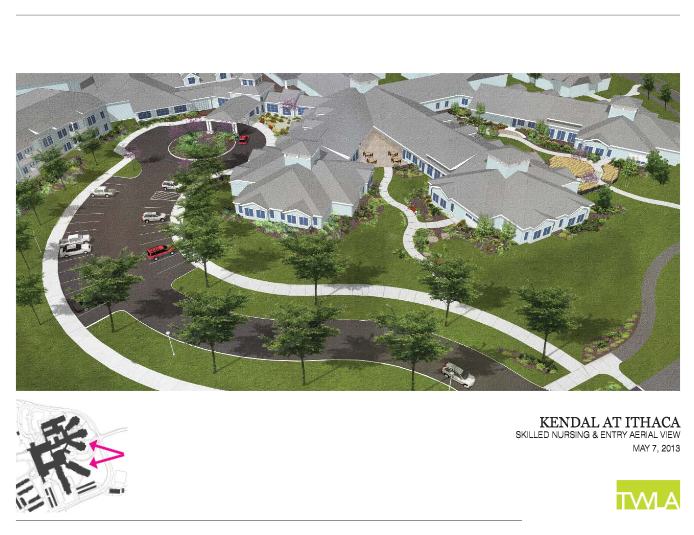 The Kendal expansion will add 24 senior apartments and 13 skilled patient care beds to the current 212 apartment and 35 beds on-site. The $29.3 million project is expected to add about 20 jobs when complete. 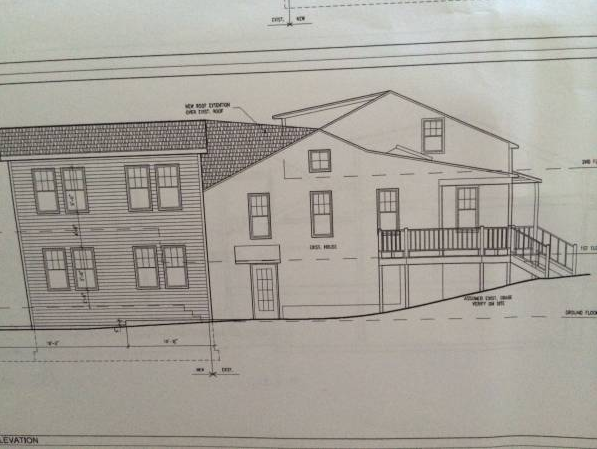 Local architecture firm Chiang O’Brien is handling the design of the building additions. “Cornell can also cut costs further by reducing campus construction, a step Skorton recommends the University take. I could imagine a couple impacts from this. First off, this probably won’t affect projects with permits in hand and funding in place, like the Gannett addition or Upson Hall’s renovation. But through the rest of the decade, there could be a serious curtailing of new construction. This would hurt the local construction industry, for whom Cornell is a good chunk of their work. Skorton’s explanation also works as a reason to not build any new dorms, and that’s worrisome. The rapidly increasing student population has not only been crunched by tight supply, it’s spreading into adjacent neighborhoods and raising rents for permanent residents, and contributing to strains in town-gown relations. One thing is clear. The impacts of Cornell’s latest budget issue will be felt throughout the community. C. Discussion (no actions expected) on INHS’s 210 Hancock development – some minor tweaks have been worked into the plan, such as moving the new Lake Avenue north of the playground and adding a crosswalk. D. Sketch Plan for 215 W. Spencer Street by Noah Demarest of STREAM Collaborative. This should be interesting. 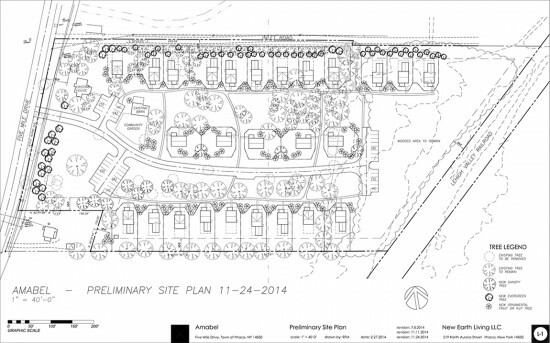 Readers of the blog will know I’ve mentioned this site a couple of times – it was a vacant lot that was sold by the IURA to local rental developer PPM Homes a couple weeks ago, and apparently they’re wasting no time with getting their plans in motion. A 0.47 acre parcel (shown above), 215-221 West Spencer is in an R-3a zone that allows for a 40′ structure with 35% lot coverage. That’s a max theoretical buildout of 28,662 sq ft (which if you give 20,000 sq ft for the housing units, and 1,000 sq ft per unit, we get a hypothetical 20 units), but whatever does get proposed will likely be somewhat smaller. STREAM Collaborative is a local architecture firm with a few other projects under its belt, including the 21-unit 323 Taughannock project on Inlet Island, and the Franklin/O’Shae proposal for the Old Library site (the proposal that reuses the Old Library Building). STREAM Collaborative was also responsible for the design of the Troy Road project mentioned earlier, so at least they won’t be going without work anytime soon. Noah Demarest has done pretty good work previously, so I have high hopes for this project. Along with these four discussion topics, the PDB will review a minor subdivision to create a new home lot at 104 Campbell Avenue on West Hill, a review of application materials to see if any revisions are desired, and discussion of the Planning Board Annual Report, 2014 Edition. 6. It’s that time of the year for building new student rentals for 2015/16. Here we have a Craigslist posting for 318-320 Pleasant Street on South Hill. 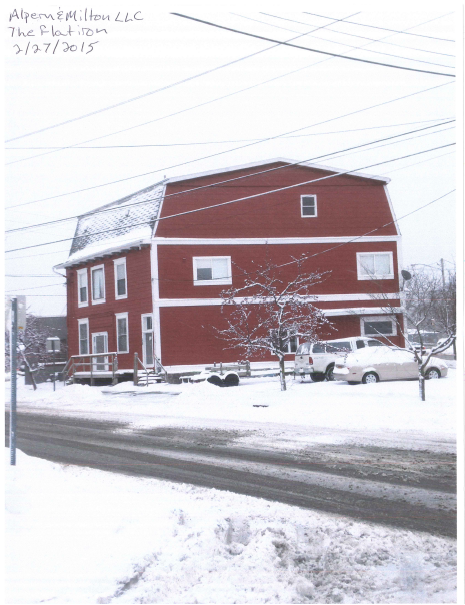 The rear portion (left) is an addition, a duplex with 3 bedrooms each. The owners of the 105-year old house are members of the Stavropoulos family, who run the Renting Ithaca rental company and the State Street Diner. I predicted between 69,600 and 70,100. Looks like I’m right, for now. March is an important month for the Bureau of Labor Statistics; it’s the month where the previous three years’ of data are revised. For Ithaca, it’s yielded some very interesting results. First off, the 2013 numbers have been revised from a yearly average of 69,000 to an average of 69,400, a 2.8% increase or 1,900 jobs more than the 2012 averaged job total of 67,500. The 2012 data were not changed. Secondly, the 2014 total job numbers have also been revised upward, from an initial estimate of 69,150 jobs, to 69,650 in the Ithaca area in 2014. The gain seems paltry compared to 2013’s gains. 250 jobs, a 0.4% increase. Looking at the data more closely, the 2014 data is, at a glance, alarming – November 2014 lost 1,000 jobs when compared to November 2013. December 2014 lost 1,500 jobs when compared to December 2013. However, these results aren’t the result of changes in 2014. The Voice looked at archived reports of the initial jobs numbers for 2013 and 2014, which we’ve included below (values shown are in thousands – for example, 69.0 equals 69,000 jobs). For visual reference, here’s a line plot and bar plot of the numbers. The large drop last Spring has been erased. The drop of 1300 jobs last May is now a gain of 700. Pretty big difference. 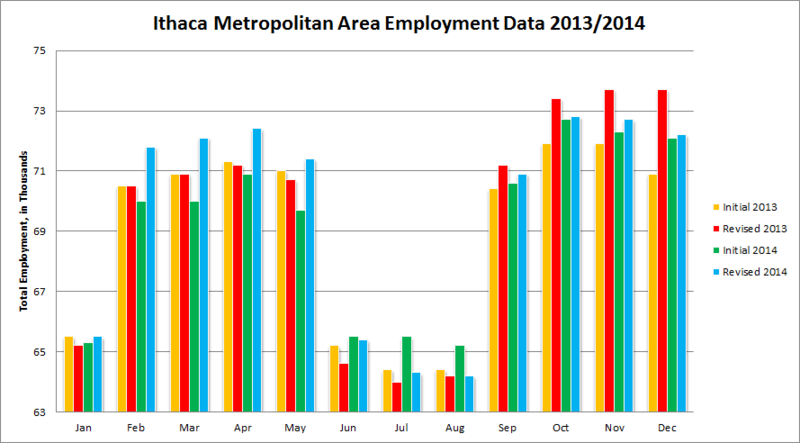 Spring 2013 job numbers decreased slightly in the revision.Summer employment values were also decreased in both years, which means there is more seasonality to the Ithaca employment cycle than previously estimated. 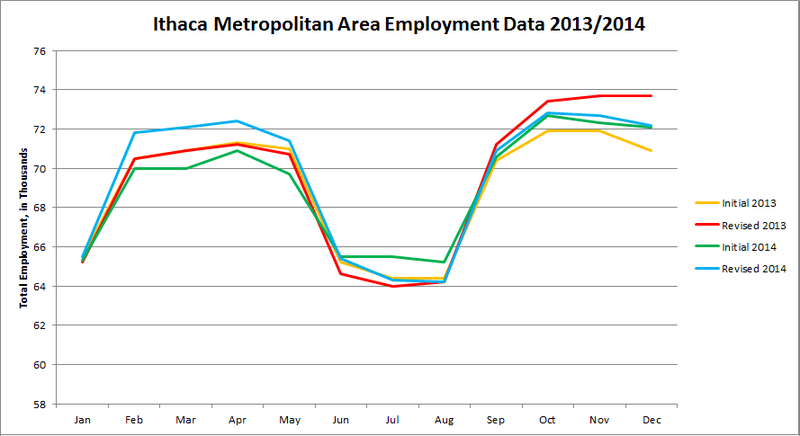 Fall 2013, by the BLS’s account, had tremendous job growth, with November and December 2013 now tied at 73,700 jobs, the record employment figures in the Ithaca metro. A revision such as December 2013’s, where 2800 more jobs were added, is highly unusual. It is because of this revision that the 2014 numbers look so poorly – compared to the initial fall 2014 values, they were actually increased a little bit, just not as much as 2013’s were. So what can we expect from the 2014 numbers moving forward? Being the “freshest” data, there is a very good chance they will be revised again next March. For the sake of example, the 2013 numbers were initially 68,000 at the end of 2013, then 69,000 in the March 2014, and now 69,400. We will need to wait and see if the fall 2014 figures are adjusted, and by now much. The number of records broken by this year’s exceptionally cold winter is nothing short of astounding. 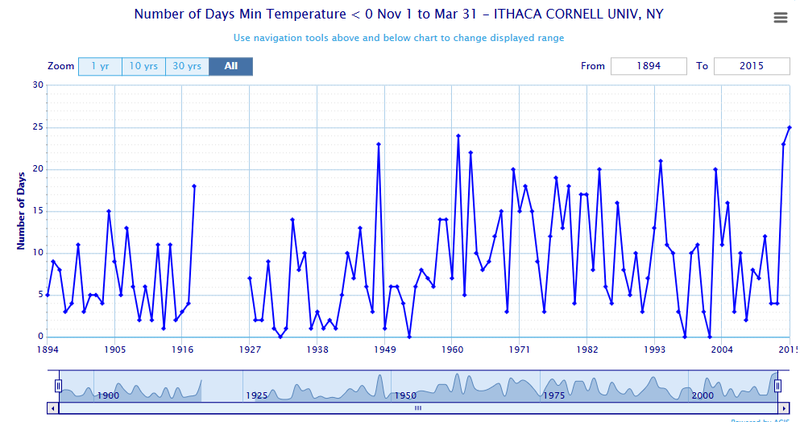 As previously covered, February 2015 was the coldest month ever recorded in Ithaca’s 122-year record, at 10.6 F, it shattered the previous record of 11.3 F set in February 1979. But that’s not the only record shattered with this bitterly cold season. According to the Northeast Regional Climate Center, when it comes to the most days with sub-zero temperatures, 2014/2015, with 25 days of negative temperatures as of this morning, has the dubious distinction of being the winter with the most subzero days on record, beating the winter of 1960/61 and its 24 subzero days. Last winter (2013/14) is in a tie for third place with 1947/48, with 23 subzero days apiece. From February 10th to March 4th (March 4th being the reading from March 3rd 8:00 AM – March 4th 7:59 AM), temperatures did not hit go above 32 degrees. That 23-day period is the longest streak of sub-freezing temperatures since January 14th – February 6th 1945, which is the record at 24 days. The high temperature on February 9th of 38 F was the highest temperature for the month, which is not a record-coldest high temperature for February. It’s third, behind 1900/01 (36 F) and 1977/78 (37 F). January 1977 holds the all-time record of only 33 F, which it hit twice, on the 11th and 29th. Hence why it’s not on the list of consecutive days below freezing. This winter had unprecedented cold, thanks to a persistent trough in the jet stream over the Eastern United States that allowed frigid arctic air to continually surge through the region (the jet stream is also why much of the West Coast from California to Alaska experienced a record-warm winter, where it ridged poleward and allowed tropical air to surge north). There’s no evidence to tie this to climate change, warming, cooling or otherwise – the relationship between the jet stream and climate change isn’t well understood, and while work by Varvus et al. have suggested that major meanders may become more common, others have gone on the record that that work has issues and the implications are still not known (and for the record, neither party denies climate change, just that its impact on the jet stream is uncertain). Fortunately, we’re at the point of the year where so much more solar energy is being pumped into the atmosphere that it becomes much harder dynamically to have such frigid temperatures. Although temperatures will be well below normal probably for the rest of the month, and may struggle to break freezing, but nothing will approach subzero. And being March, places out West experiencing the strongest part of the ridge (Southern California) are starting to see “excessive heat advisories” – Palm Springs is seeing 100 F, which usually doesn’t happen until late May. With perhaps the exception of Seattle and Miami, everyone is getting the weather they don’t want or need. 1. This past Friday the 6th, the city IURA (Ithaca Urban Renewal Agency) sold off a vacant city-owned property at 215-221 West Spencer Street to Edward Cope for $110,000. The name might not sound familiar, but a quick address check of the sales documents reveals an association with PPM Homes, a local rental company with a few hundred bedrooms in dozens of properties scattered around the city, most of them subdivided homes. 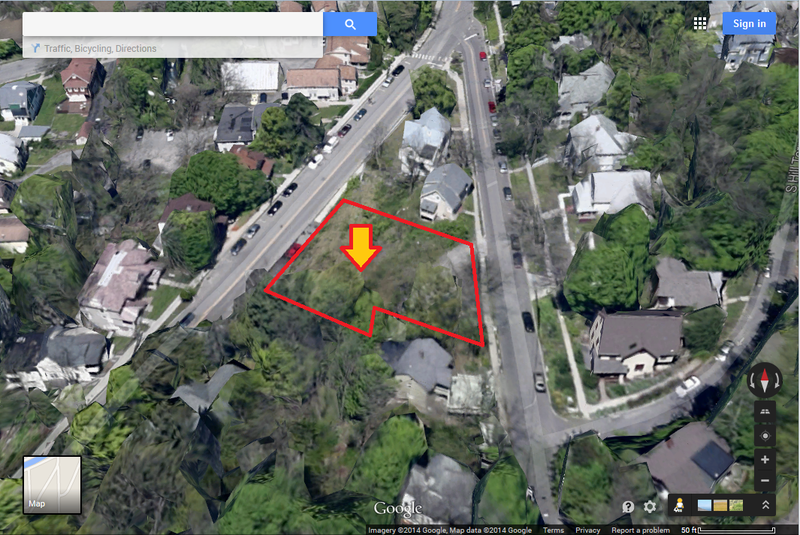 Edward Cope also bought a vacant privately-owned lot at nearby 228 West Spencer Street for $15,000 on February 19th. 228 West Spencer, a small, steep site with tight zoning restrictions, was approved last year for one custom house design with 1536 sq ft. of space (the design plans came with the sale). As for 215-221 West Spencer, it was noted in July of last year that the city was selling the parcel (though I was under the impression it had already sold) and the buyer was intending multi-family housing. The 0.47 acre site has the potential for a medium-sized apartment building (20 units), but that’s a simple calculation using the zoning. With topography and neighbor considerations, the reality will be smaller. In short, keep an eye on these properties, because PPM has the money to make the house and the apartment building happen. A. The Hotel Ithaca conference center is still actively trying to move forward. B. The IURA received an inquiry about vacant land in the Cherry Street industrial park, from a business seeking to relocate into the city. C. The city is making progress on taking over the state-owned parcel at 508 Taughannock Boulevard, previously used by the U.S. Coast Guard. D. The former Ithaca Gun site is virtually entirely cleaned up, which will allow the apartment project proposed for the site to move forward with the planning and approvals process. All things to keep an eye on in the upcoming months. 3. 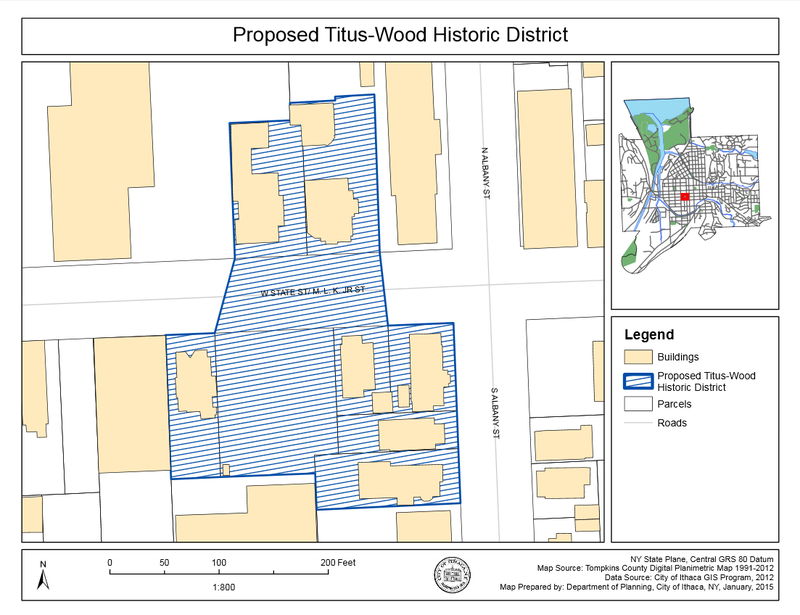 Looking at the city’s Planning and Economic Development Committee Agenda, there was quite a pushback from locals and the county for the proposed Titus-Wood historic district. The city fire department objected to landmarking their parking lot, the county wrote a letter opposing landmarking 317 W. State (and 315 W. State, which is not a registered address but could be the parking lot) because it was felt neither was historic enough and that it impeded urban infill, and the owner of 110 S. Albany, Ian Shapiro of Taitem Engineering, protested because his previous experience with the ILPC has been very frustrating, and that the ILPC gives applicants a really hard time over energy conservation efforts such as solar panels. For the record, he’s not wrong about that. Some ILPC members have not been a fan of solar panels (examples here, here, here and here), and it has been at times a months-long process to get installation approval. It boils down to a dispute of alternative energy use vs. historic preservation, both things that Ithacans love, but can conflict with each other in cases like these. Regardless of the opposition, the PEDC passed the historic district resolution with a unanimous vote, and the resolution now goes on to the Common Council, who will likely approve the new historic district. 4. Over in Lansing, concerned citizens looks like they can put their fears to rest regarding development of the Kingdom Farm property. The 528.1-acre property sold to a Cayuga County dairy farmer on March 10th for the hefty price of $2.8 million (in other words, $5,302/acre). The farm has been in the possession of the Watchtower Bible and Tract Society (the business branch of Jehovah’s Witnesses) for several decades, and the owners even pitched a 500-unit development for the site in the late 2000s. Back in October when the tax-exempt land went up for sale for $3 million, the Lansing Star reported that some more activist local residents wanted the town to step in and help a farmer buy the land so they could keep the property agricultural. There hasn’t been any news of the town taking that step, and it appears the problem resolved itself without the need of taxpayer dollars. Also, it means the property, assessed at $2.2 million, goes back onto the tax rolls. This might be one of the few cases where everything appears to have been worked out and all can go home happy. 5. 514 Linn Street has come down for a new duplex now under construction. Each apartment unit will have 3 bedrooms and be completed this summer. Although the predecessor building dated from the late 1800s, it was also an early “cookie-cutter” home; 512 Linn was the same design. Fall Creek is mostly developed, but Linn Street is no stranger to new builds – 514 follows a few years after 516 Linn, which was a new home built on a vacant lot. 6. Lastly, it looks like the town of Ithaca’s planning board finally has a few things to work on, after having no meeting since early January. For their Tuesday meeting, the town will review plans for more luxury tents at La Tourelle, a new municipal water tank near Sapsucker Woods, and revised plans for the Amabel project off of Five Mile Drive. The number of units has been reduced to 28, and since November, two units were added to the far west portion of the parcel bordering Five Mile Drive (and as it turns out, those center units aren’t duplexes). 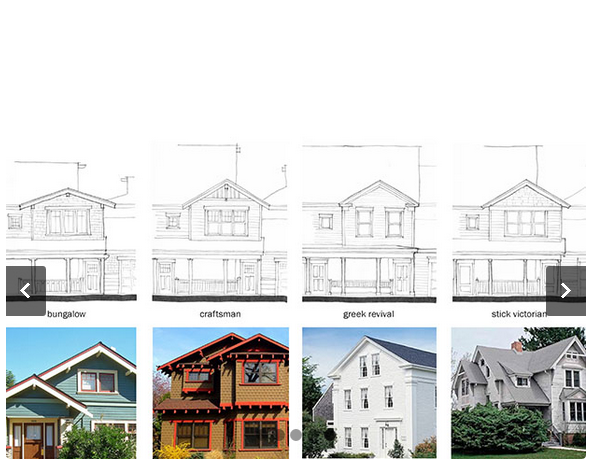 Contrary to the example render, six different home designs will be available. Developer Sue Cosentini of New Earth Living LLC hopes to begin sales this summer. Ithaca Common Council: http://www.cityofithaca.org/341/Common-Council – click on your councilperson’s name, their email is on the subsequent page.